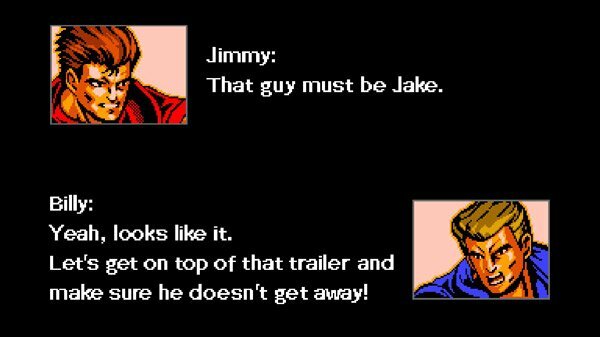 The Double Dragon franchise is one of those titles that has endured the test of time most especially for those who grew up not just playing the first games on the NES, but also watched the anime adaptation, and (I just found out recently) the live-action movie adaptation. 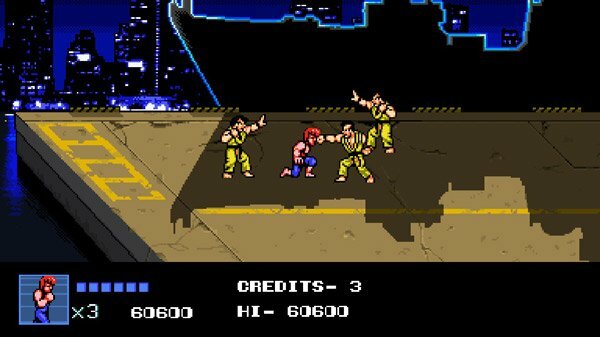 Here comes in Arc System Works’ introduction of the fourth title in the Double Dragon franchise, Double Dragon IV. 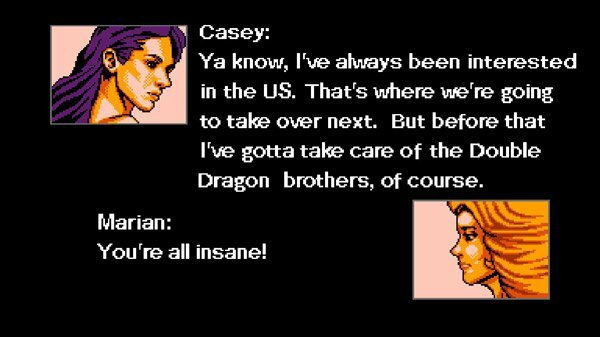 Working on the timeline after Double Dragon II: The Revenge, we get to see the Lee brothers setting out various Sōsetsuken dojos around the US. They are then attacked by the remnants of the Black Warriors who are now working under the Renegades. And again, Marian is kidnapped (and who so happens to be alive again) so there you are off fighting yet again for the girl. 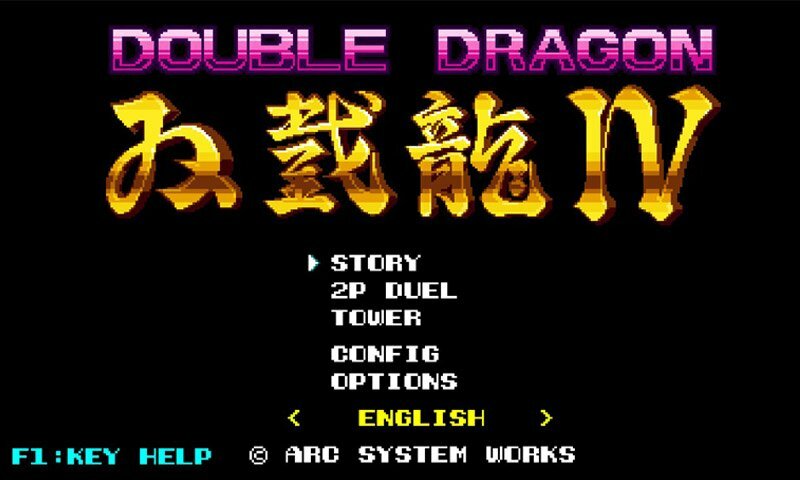 Arc System Works retained the look and feel of the Doube Dragon franchise with the control scheme, feel and look loyal to the previous releases (save for Double Dragon III). 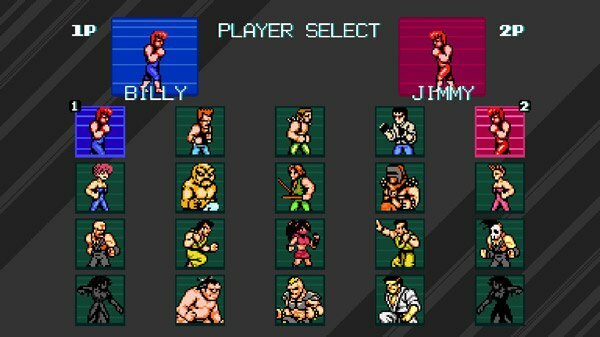 This was nostalgic to a fault as the problems, irritations and of course the scratching your head moments of the old school NES beat ’em ups make you go through. The stages are rough for your hands if you’re using a controller, and it would be really punishing not only your hand but also your keyboard if you’re playing the game using it. 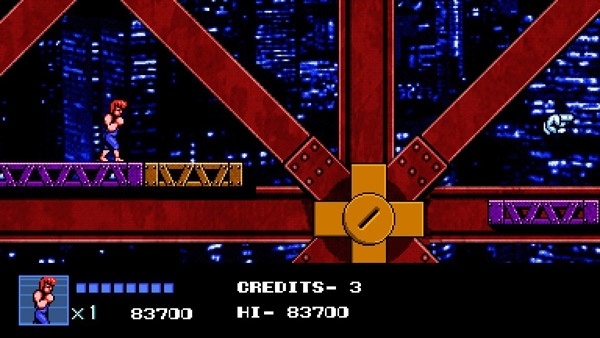 The game also retains the klunky feel of the controls, and this is most easily felt in the platforming stages of the game. 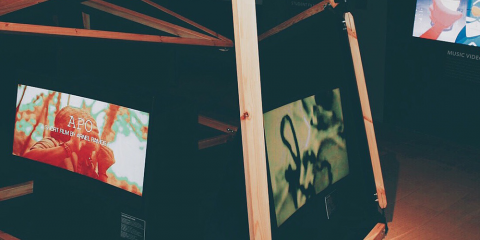 The game’s difficulty level staggers in a slow pace compared to it’s predecessors. The earlier stages would have you face usually 1 or 2 enemies at a time, which is a good indirect way of making you get used to the controls (that you can map out at the start). But as the stages progress, the game ramps up the difficulty to almost controller throwing at the screen moments as you would have to weave through mobs of enemies who have their own fighting style and tactic. 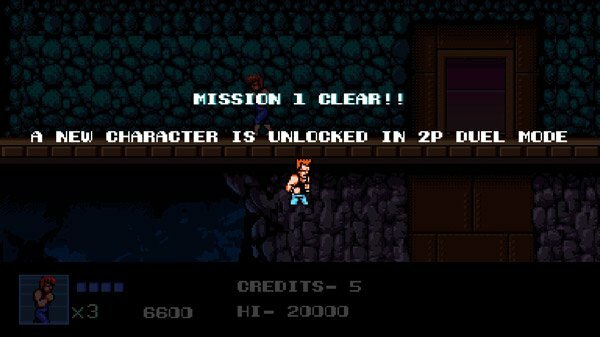 Replayability on the other hand is mostly hinged on the novelty of achievements which can be earned through replaying the longest Double Dragon title to date, with an astounding amount of 12 missions and using the 12 unlockable playable characters. You can also go through the Tower, a solo player game where you have to defeat waves of enemies as you go up the tower’s floors. You can also play via local multiplayer co-op for up to two players. Or duke it out in the two player duel feature where you can use the aforementioned unlockable players to face off in 1v1 matches against your friends locally as well. 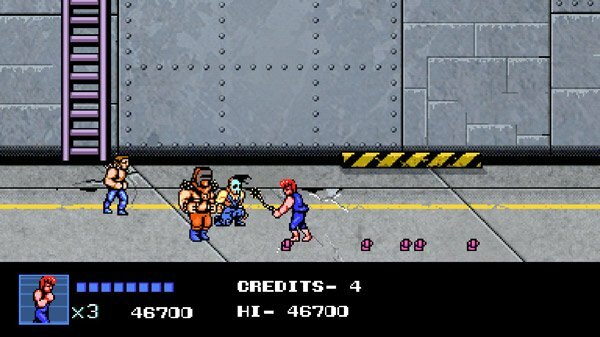 Double Dragon IV is a real fitting title for the franchise’s 30th anniversary. 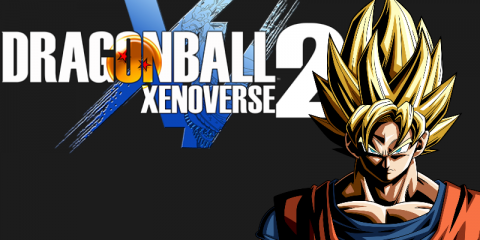 It retains all the things that made us fall in love with the franchise in the first place and Arc System Works was able to add a few bells and whistles to make the game a bit more interesting than it’s predecessors. 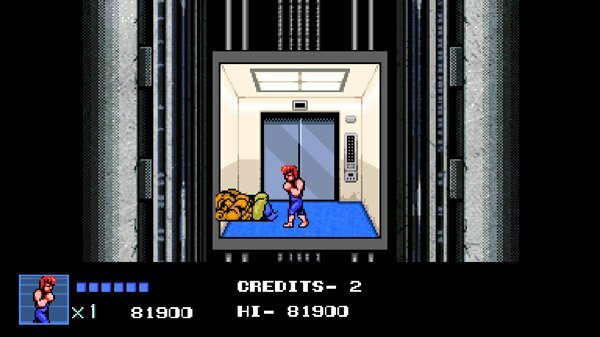 In a time where games are starting to get exceedingly complicated, Double Dragon IV is a breath of fresh air, with a tinge of nostalgia brought into the mix. You can purchase the game through Steam at 370 PHP and around 350 PHP the PlayStation Store.